It always feels as if today we are busier than ever. So keeping your day, and life, organized is more important than it was even a few years ago. Maybe you’ve tried those preset planners both cheap ones and expensive, and so far, none of them seem to be a fit for you. So what can you do? Well, stop trying to make them work for you. Change how you look at planners. 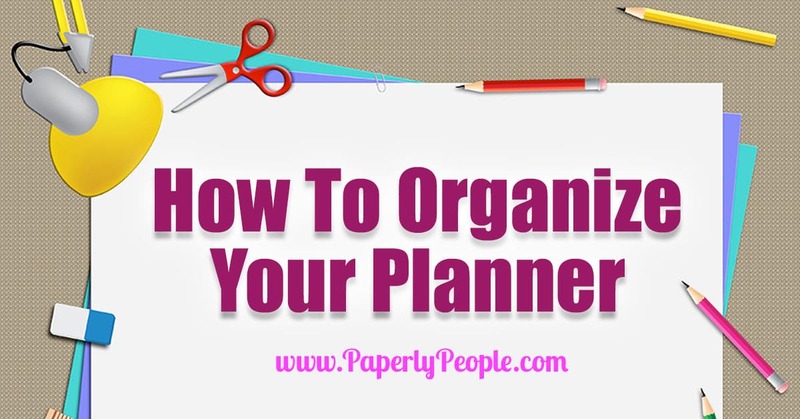 Think of your planner as a changeable, constant, personal working document! I do have a couple of affiliate links in this post! If you purchase something I recommend I will get a couple of pennies…YAY! 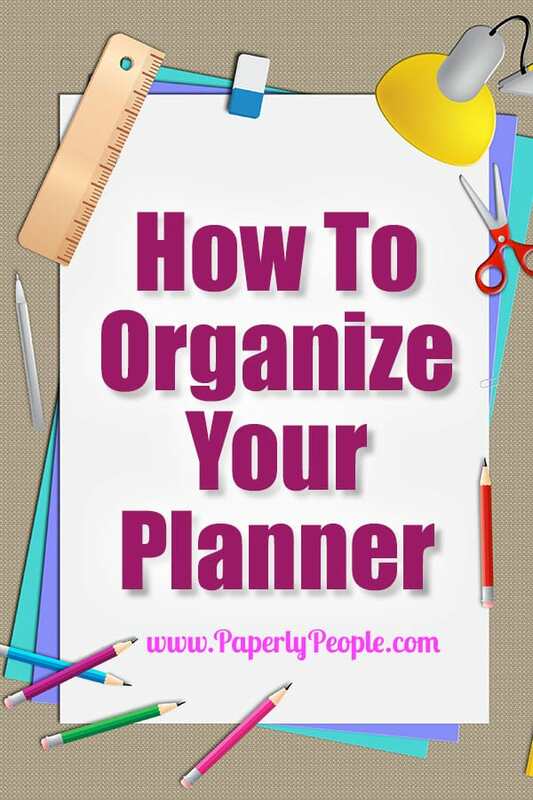 Whether you use a preprinted planner or make your own with a binder, tabs and paper, setting up your planner and using it are the key. More on how to organize it in a minute. First some important tips on using it. Refer to it regularly. Look over the next day the evening before. Review it in the morning, then through the day, checking off tasks and meetings as you complete them. Add things as they come up or if something changes. Beginning of the week check over your week and add or remove things as needed. Don’t be so precious about making your planner “perfect”. My planner is a working tool that I use everyday and I don’t expect it to be impeccable. In fact, one of the things that makes me NUTS is when I hear someone being sad that they have to start a page over because they made a mistake. I have a handy dandy tool for that… it is called WHITE OUT! I use a really cool roller white out anytime I need to move something around. By the time you write over that area again you won’t even notice it! Another tip: only put the things in your planner that are important. Of course everything seems important, so you need to make sure you don’t overload your days! For example, on my planner page (I use a weekly view) I have ONLY the things that I need to do on a certain day listed in that day’s block. Today I had 1) write a blog post, 2) ship out packages, 3) an appointment with one of the girls on my team. I put all the other things I could do sometime this week on a list at the side of the page. This keeps me from having to move things all the time AND makes me accountable to just doing the three or four things that HAVE to get done that day. I learned about this kind of organization from David Allen who wrote Getting Things Done. If you haven’t read that yet, stop now and go read it! The next batch to put in are responsibilities. You know, the things that you have to do for yourself and others, like caring for your family, going to work, taking care of finances, the daily tasks that are necessary. Write these in, depending on what task it is, if you think it will be forgotten. For instance if you have to make an appointment to see your insurance or finance professional, write it in. If you have last minute things to pick up at the grocery store on your way home, write them down as you think of them so you don’t forget. The last category is the things you like to do. This is things like vacation, relaxing, family time and so on. And yes you need to put these in your planner… IN INK! Priorities people! Depending on whether you see it as a chore or love to do it, but for your health, it’s important to remember to include it. Other important things to include: your kids days off of school or half days off; practice and game schedules; etc. Last thing you want to do is forget someone at practice, miss a game or recital or have no child care ready for those days off. Most calendar blocks in monthly calendars are rather small. Use them if that makes you happy, but it may be better to use the daily or weekly pages to schedule your time. Put the important things in ink. Things that can’t (or shouldn’t) be changed. Pencil in the rest. Another idea, especially for things that may or may not be completed in a day, is to put things on a sticky note or tab. That way, if you don’t complete something, you can move it to the next day. As you get things done, check them off. It will visually give you an indication that you are actually accomplishing what you set out to accomplish. I use a system of check boxes to check things off! A fully filled in check box means that the item is done. A slash diagonally across it with the bottom filled out means I have started it but not finished it and a blank box means I haven’t started it yet. Because I am a Mom and own a number of businesses, I rarely get huge swaths of time to work. Doing this kind of checkbox system lets me pick up tasks easily because I know what I have started and finished. Before doing this I spent a bunch of time trying to figure out where I was at rather than actually doing things productively!